Our "Exploring" series continues with Frederick Faxon’s Annual Magazine Subject-Index, which ran from 1907 until 1949. When Faxon started his index in 1907, several large and mostly-comprehensive periodical indexes already dominated the library market. So why did he bother starting yet one more? As it turns out, this was a question front and center in Faxon’s mind from the outset—and one to which he had a ready answer. –Ed. Compiler and Editor Frederick W. Faxon (1866 – 1936)1 opened the preface to the seminal 1907 Annual Magazine Subject-Index (AMSI) volume with an existential question: why does the library world need an additional periodical index? …why [did] the library world need an additional periodical index? 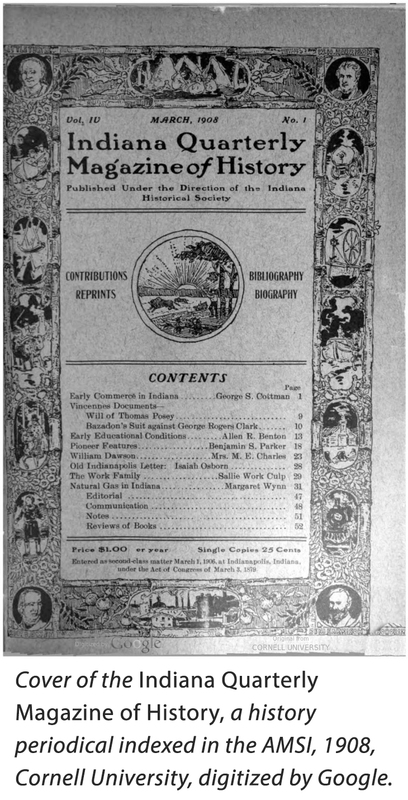 This focus existed as early as the AMSI’s inception in 1907, when Faxon bemoaned that “the field of State History is well covered by the historical publications of various state societies, but not one of these is indexed by either the Annual Library Index or Readers’ Guide to periodical literature.”8 Faxon recognized that this omission created a great hurdle for historians—especially new historians and students—and positioned the AMSI to reduce this barrier substantially. The particular scope of the AMSI…skewed the index toward esoteric subjects not heavily dealt with elsewhere. Researchers using the AMSI ought to be aware of an additional quirk of the subject scope: the lack of content relating to the dramatic arts and music from 1909 onward. This was due to Faxon’s decision that year to begin publishing all such content in a separate supplemental Dramatic Index. Faxon stated the reason for this change in the preface to the 1909 annual volume: “the theatre is today of interest to a larger proportion of educated people, probably, than any other pursuits or recreation. This interest creates a constant demand for information in regard to plays and players.”10 Faxon—recognizing that this material appealed to a bigger audience than the AMSI proper—separated it from the main body of the index facilitated wider use. If there was one area of his index that brought Faxon especial pride, it was its sections on historical subject matter. … as well as the answers to many, many more research questions. Go and explore! Users of 19th Century Masterfile: 1106 – 1930 can search every Annual Magazine Subject-Index volume published from 1907 until 1922. Check your institution’s database subscriptions to find if you have access to 19th Century Masterfile, or sign up here for a free trial. Thank you to Marlene Hurst and Peggy Fulton, whose thoroughly-researched and well-written memos greatly aided the writing of this piece. 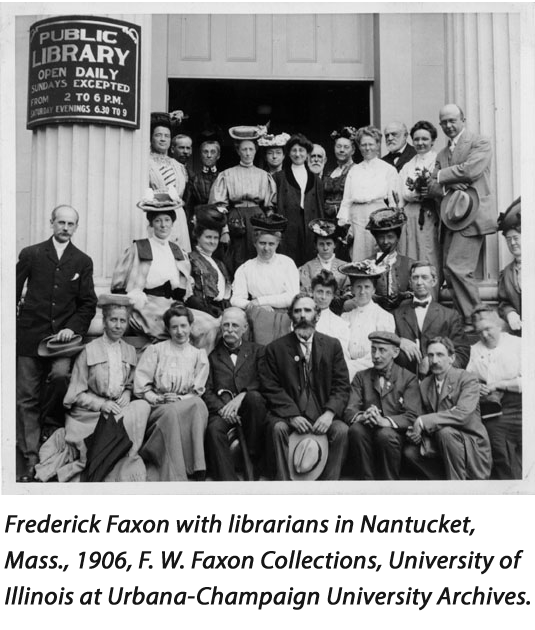 Despite not being a librarian, Faxon was a fixture of the early-twentieth-century library world. He held several official positions in the American Library Association (ALA) between 1900 and 1934 and attended over forty annual ALA conferences. He took photographs copiously at these conferences, available in the ALA Digital Archives. His death in 1936 resonated among librarians, the Iowa Library Quarterly remarking, “He was genial, accommodating and to meet him was to always meet an old friend.” Lydia Tang, “’To meet him was to always meet an old friend:’ F.W. 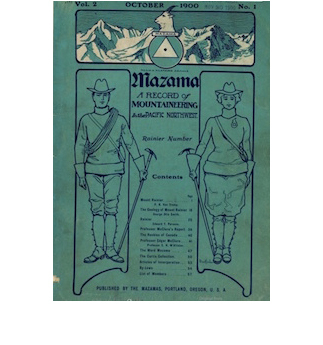 Faxon,” American Library Association Archives, June 23, 2013, accessed May 23, 2018, https://archives.library.illinois.edu/ala/fwfaxon/. The Annual Library/Literary Index is used here as a catch-all title for what was called the Annual Literary Index from 1892 to 1904 and the Annual Library Index from 1905 onward. Both Poole’s Index and the Annual Library/Literary Index are accessible through 19th Century Masterfile. “Preface,” The Magazine Subject Index 1 (1907), ii. Faxon reaffirmed this rule in the preface to every volume of the AMSI from 1907 through 1922. His diligence in avoiding duplication formed the basis of the AMSI’s growth in popularity (and marketing copy). As Faxon laid out in 1910: “Librarians [...] are realizing more and more the importance of being able to direct an investigator to sources of information, even though not available in their own libraries. Thus the value of having at hand the Magazine Subject-Indexes is apparent, as they afford a mass of references absolutely different from those in all other indexes.” “Preface to Magazine Subject-Index,” Annual Magazine Subject-Index (1910), 10. “Preface to Magazine Subject-Index,” Annual Magazine Subject-Index (1911), 8. “Preface to Magazine Subject-Index,” Annual Magazine Subject-Index (1914), 8. Isadore Gilbert Mudge, Guide to Reference Books, 6th ed. (Chicago: American Library Association, 1936), 9. Faxon’s Dramatic Index will be added to 19th Century Masterfile at a future date. “Preface to Part 1,” Annual Magazine Subject-Index (1909), 8; “Preface,” The Dramatic Index for 1909 (1909), 246. That year, Faxon listed twenty-eight collaborators. “Preface” (1910), 12. “Preface to Magazine Subject-Index,” Annual Magazine Subject-Index (1919), 4. “Preface” (1907), ii; “Preface to Magazine Subject-Index,” Annual Magazine Subject-Index (1922). “Preface” (1911), 9 – 10. Cumulated magazine subject index, 1907-1949; a cumulation of the F.W. Faxon Company's Annual magazine subject index (Boston, G.K. Hall, 1964). “Aerial navigation – Count Zeppelin's air-ship,” E. Wolf, Windsor Magazine 13 [January 1901]: 237 – 244. “Electricity – Switchboards in modern office buildings,” H. Kranz, Architects’ and Builders’ Magazine 40 [July 1908]: 471 – 475. “History teaching – Teaching the United States bank,” A.H. Sanford, History Teacher’s Magazine 4 : 25 – 26. “California missions – Founding of,” George W. James, Inside and Out 4 : 51 – 59. “United States Civil war – Harvard men in, Record of,” Henry N. Blake, Harvard Graduates’ Magazine 20 [December 1911]: 235 – 241. “Advertising – Photography in,” Photo-Miniature 6 [June 1904]: 129 – 171.